Tal Peleg works at Naughty Dog as a Senior Cinematic Animator, and besides being one of the developers behind The Last of Us (you could also be aware of his work with the hilarious Joel Banderas and Joel Nicholson animations), he’s also a quite passionate fan of Visceral Games’ Dante’s Inferno, so much that he decided to use his mad skills and his spare time to create a stunning CGI fan short dedicated to Dante’s adventures. On top of directing the video, Peleg did the keyframe animation, compositing, editing, scene layout and more, and was helped by friends and colleagues at Naughty Dog in making the ambitious project a reality, with amazing results. Giuseppe Nelva: What’s the reason behind the choice of Dante’s Inferno as the base for your short? Tal Peleg: The game really resonated with me. A dark medieval setting based on a classic poem lead by a repenting crusader who punishes and absolves demons in hell – totally hit the spot for me. Dante is a very intriguing and complicated character. It had a compelling story arc of redemption. It had killer gameplay, awesome combat animations and VFX that made Dante feel like a relentless holy warrior. 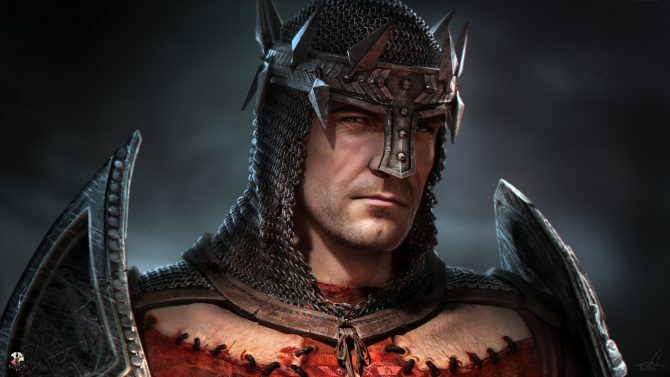 Graham McTavish did an amazing job with the voice acting as Dante. Ultimately, the sequel’s absence drove me to want more and I figured I’ll do something that’s much more than just paintings or animation tests, but a full blown tribute. GN: How many man-hours have gone into creating Dante’s Redemption? TP: Well, it’s hard to tell because it’s been done in my spare time, mainly on weekends. I technically began working on the project around August 2012. Considering time off, my daytime job at Naughty Dog, I’d say that it took about 7-8 months more or less all around. A long time, but that’s because I was handling most of the disciplines all by myself (such as scene layout, Keyframe animation, lighting, compositing, editing and matte painting). GN: A lot of talent was involved in the creation of Dante’s Redemption. Could you introduce those who helped you turn the idea into reality? TP: I would not be able to make any progress without modelers and riggers. My go-to character Technical Director, who rigged the majority of the characters / creatures in the short, is Tyler Thornock. Soa Lee and Kris Fancsali are the ultra talented modelers that created the gorgeous characters (one of Soa’s many great contributions to The Last Of Us was the character model of Tess). Damon Shelton and Brian Kenny are both brilliant and savvy Technical Directors that brought extra flavor with flags and banners simulations, Pegasus’ mane / tail simulation and additional character rigging. I’m super proud of these guys. GN: The characters in Dante’s Redemption are extremely detailed. What is their polygon count like? TP: It’s pretty high count, definitely comparable to a fully digital character in a feature film. GN: Is it challenging to create an ambitious project like Dante’s Redemption while working in an AAA studio like Naughty Dog at the same time? TP: It’s incredibly challenging. It’s one thing to be passionate with what you do and wanting to create new art, but it’s another to actually complete a personal project in this scale. It was especially difficult during the crunch time on The Last Of Us. I had to take breaks on DR many times throughout the last couple of years. Another challenging aspect was to take on a producing role in order to collect and purchase assets fitting the style of the project (VFX, objects, additional models, background plates, audio, etc’). GN: Can we expect more “fan shorts” from you and your team? If yes, are you going to look at other games, or maybe we can expect to see more of Dante? TP: I can totally see myself making another Dante fan-fiction CG short, it’s definitely something I’m considering. I’m going to take a good break to see what comes up next. It could be something else, possibly to show a wider range topics. We’ll see! 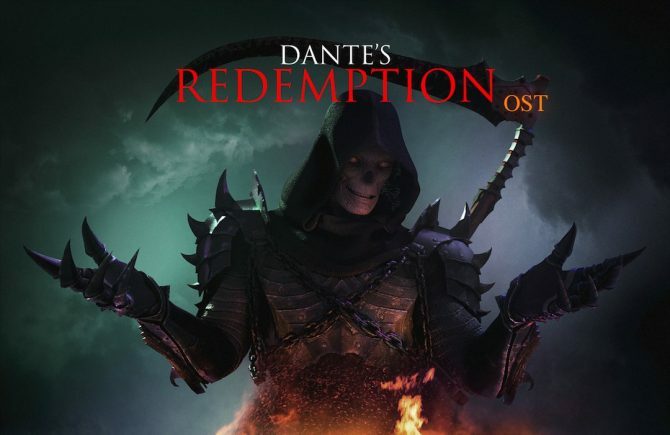 And now, without further ado, I leave you with Dante’s Redemption. 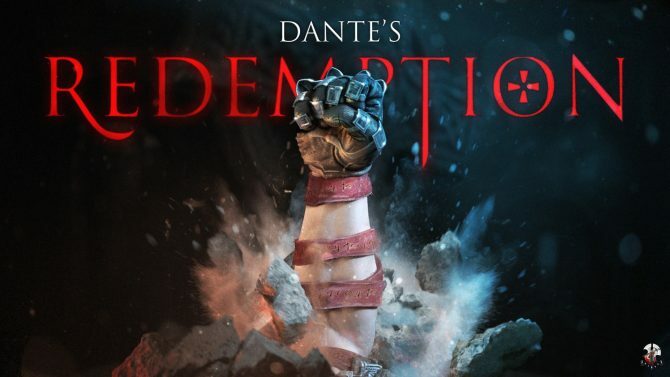 You can also find more assets at Dante’s Redemption website.